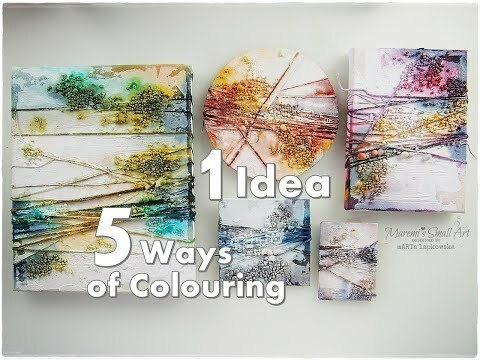 How to start, how to begin a mixed media canvas. We will create 5 different canvases. I will show you how you can color your mixed media project. Very easy, fun and creative abstract art for everyone. We will use basic supplies like string, yarn, gesso and mixed mixed media color sprays.